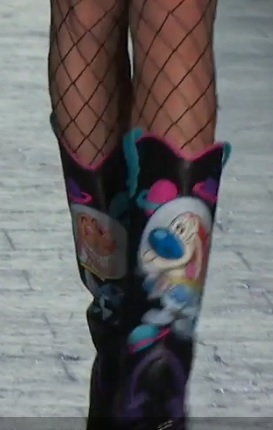 Ren and Stimpy from Nickelodeon graced the catwalk at New York Fashion Week. Fashion designer Jeremy Scott released them upon the fashion world which created a buzz at NYFW. See more from Jeremy Scott. Temperamental chihuahua Ren and his trusting feline sidekick, Stimpy. Together, this twisted twosome find themselves in crazy absurd adventures. Learn more about Ren and Stimpy. 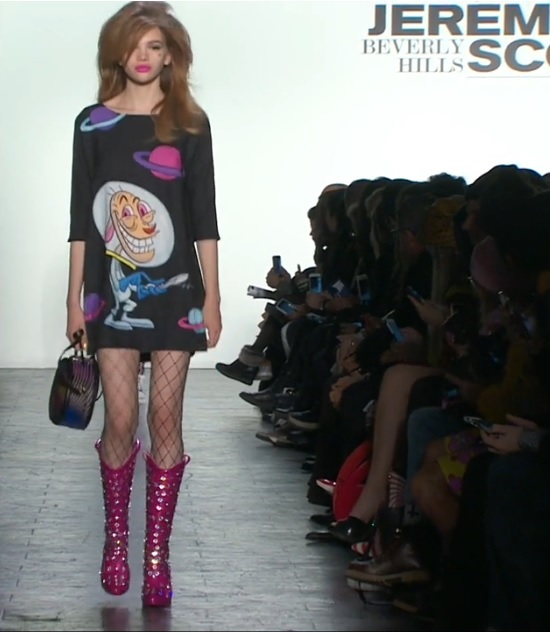 Below you will find some other colorful cartoon face designs from Jeremy Scott. Jeremy Scott was born in Kansas City, Missouri. In 1992, he arrived in New York City to study fashion design at the Pratt Institute. Upon graduating in 1996, he relocated to Paris where, a year later, he introduced his signature brand, Jeremy Scott, and debuted his first of many sensational presentations.Over the next five years he launched the modeling career of Devon Aoki; worked with Christian Louboutin and Stephen Jones on accessories for his runway shows; received accolades from Karl Lagerfeld; and won the 1996 and 1997 Venus de la Mode Award for Best New Designer. 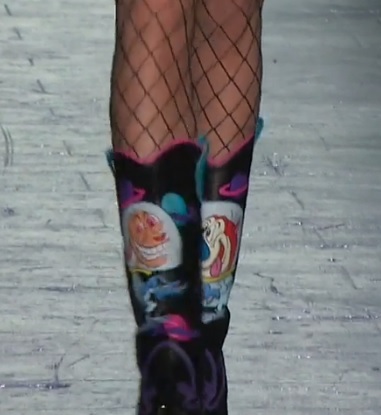 See more from fashion designer Jeremy Scott here on the Fashion Blog. More about NYFW February 2016.